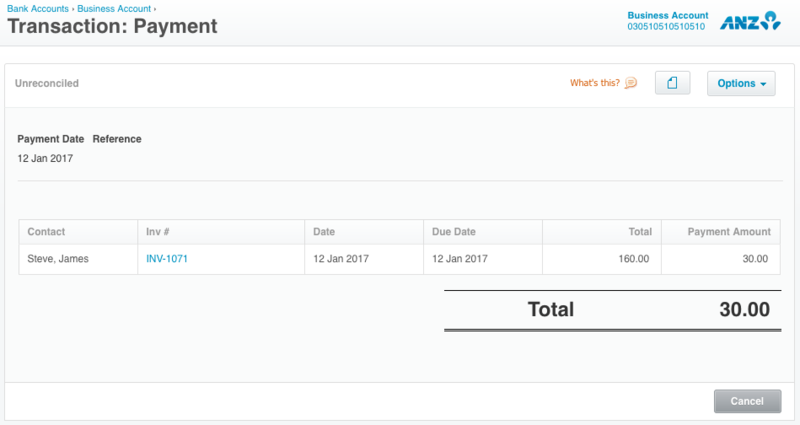 Preno creates a prepayment in Xero when a deposit is recorded on a booking, and that prepayment is credited against the booking on checkout. A deposit can be recorded for any booking that is checking in today, or any date in the future. For more information, read the Deposits & Payments help doc. The payments that Preno creates in Xero are individual transactions that are linked to the invoice. Each transaction recorded in Preno will have its own transaction in Xero. The amount and the person who paid will be sent to Xero, but the payment type is not. Having the payments applied to the booking will leave the booking complete, with an Amount Due of 0.00.